Here’s an offer you can’t refuse. In an event that couldn’t possibly be more convenient, Chess Education Partners will host a citywide scholastic chess tournament on Saturday, June 9, at the Hyde Park Neighborhood Club. The entry fee is $15, and your child has to be a member of the U.S. Chess Federation ($17 cost) to play. 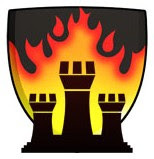 However, the Ray School Chess Club has registered the entire school team and paid the entry fee, and for any chess club member who plays in the tournament and is not already a USCF member, the club will pay for a one-year membership. In other words, a chess tournament right here in the neighborhood that could have cost you $32 to enter will cost you nothing, and your child will be a member of the U.S. 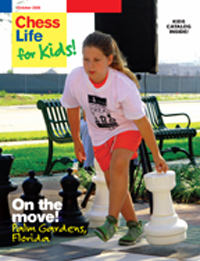 Chess Federation, entitled to play in rated tournaments, earn an official rating, and receive the semi-monthly magazine Chess Life for Kids. Sound good? Then please let me know as soon as possible if your child wants to play. Check-in at 8:00 a.m.; the first round will begin at 9:00 a.m.